Art is a diverse range of human activities and the products of those activities; this article focuses primarily on the visual arts, which includes the creation of images or objects in fields including painting, sculpture, printmaking, photography, and other visual media. Architecture is often included as one of the visual arts; however, like the decorative arts, it involves the creation of objects where the practical considerations of use are essential—in a way that they usually are not in a painting, for example. Music, theatre, film, dance, and other performing arts, as well as literature and other media such as interactive media, are included in a broader definition of art or the arts. Until the 17th century, art referred to any skill or mastery and was not differentiated from crafts or sciences. In modern usage after the 17th century, where aesthetic considerations are paramount, the fine arts are separated and distinguished from acquired skills in general, such as the decorative or applied arts.Art may be characterized in terms of mimesis (its representation of reality), expression, communication of emotion, or other qualities. During the Romantic period, art came to be seen as "a special faculty of the human mind to be classified with religion and science". 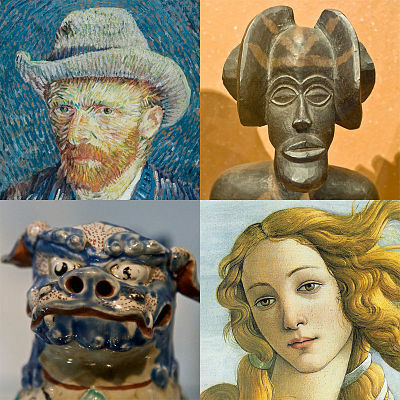 Though the definition of what constitutes art is disputed and has changed over time, general descriptions mention an idea of imaginative or technical skill stemming from human agency and creation.The nature of art, and related concepts such as creativity and interpretation, are explored in a branch of philosophy known as aesthetics. [PL]: Schody prowadzące na przedproża na ulicy Mariackiej w kierunku Bazyliki w Gdańsku ...(Pełen opis dostępny na stronie www.pictures-bank.eu). Autorem zdjęcia jest Marek Wieczorek. Kontynuacja redagowanego i wydawanego przed wojną czasopisma literackiego. W 1964 roku pismo ukazywało się jako dwutygodnik o profilu społeczno-kulturalnym, obejmowało zasięgiem Polskę wschodnią.